"He was tall and broad-shouldered, and it was plain to see that in his younger days, he had been a handsome man. Now...his hair had greyed a little, and his eyes, though still very bright and observant, bore the imprint of many a year spent exploring - and often, I guessed, discovering - along rarely trodden paths of mysterious, obscure learning." To many thousands of listeners world-wide, Titus Crow is the psychic sleuth - the cosmic voyager and investigator - of Brian Lumley's Cthulhu Mythos novels, from The Burrowers Beneath to Elysia. But before The Burrowers and Crow's transition, his exploits were chronicled in a series of short stories and novellas uncollected in the USA, except in limited editions. Now these stories can be told again. From Inception, which tells of Crow's origins, to The Black Recalled, a tale of vengeance from beyond the grave, here in one volume, from the best-selling author of the epic Necroscope series, is The Compleat Crow. 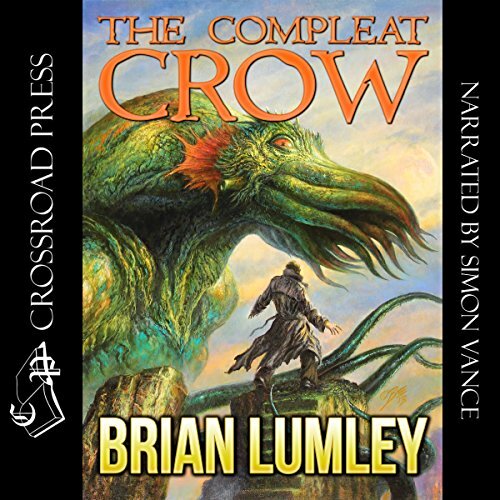 The Compleat Crow is the collected short stories of Brian Lumley's occult hero, Titus Crow, in chronological order (narratively speaking, not publishing order). I have heard that Lovecraft purists don't like Lumley's Crow stories because they don't hew closely to the Lovecraft canon or style. The stories are indeed a bit more adventurous and positive in tone. Pulpy, you might say. The character actually triumphs most of the time. I understand the difference, but I can't really understand why it's a reason to hate the Crow stories. 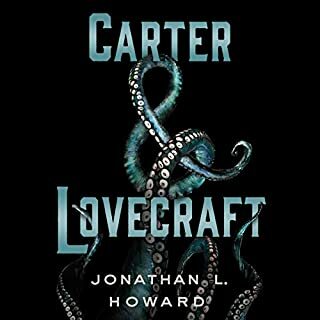 They are different than Lovecraft's in formulation and tone, but they absolutely adhere to the larger canon of weird fiction, taking into account investigative heroes like Algernon Blackwood's John Silence or William Hope Hodgson's Carnaki. Further, because they abandon the bleak and sometimes ponderous style of Lovecraft, they are more entertaining to read for most audiences. It just depends. If you are looking for horrifying, existentialist, verbose Lovecraftian style, you wont' find them in this collection. These are well-paced, punchy, heroic stories. Overall the writing, as you might expect of a short story collection that spans more than a decade, is uneven. A few stories were weaker potboilers, but others were quite good. I particularly liked Inception, The Viking's Stone, Darghud's Idol, and De Maringny's Clock. Lord of the Worms was the longest story, FYI. I say that because it's the second one and it might lead you to expect all the stories to be long novellas. I don't know if The Compleat Crow is the best place to start reading the Titus Crow stories. All I can say is that I have not read any of the others and the collection made sense to me. On the other hand, I have read all of Lovecraft, so none of the mythos references threw me. Your mileage may vary. The reading was by Simon Vance. That's all you have to know because Vance is a fantastic audiobook narrator and he gave this one his usual stellar effort. 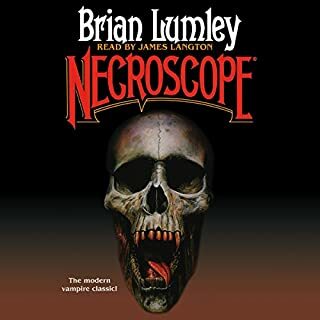 It is always a delight to immerse oneself into a Brian Lumley title (I have read all of the Necroscope titles) and this one is no exception. I love Titus Crow and his short adventures. My favorites include "Lord of the worms" and "De Marigny's clock" while "Billy's oak" was a short gem of a story. 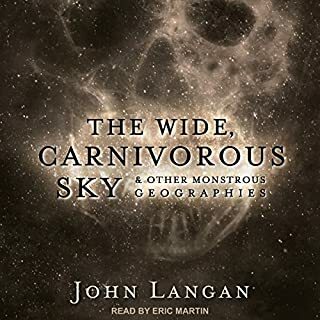 The characters are colorful in their dark setting and I was sad when this audiobook ended. I must read more adventures of Titus Crow, I simply must. Titus Crow, his friend Henri-Laurent de Marigny and others are featured in this series of novellas and short stories beginning with the onset of Titus Crow's supernatural abilities and ending with a story after his death. Titus Crow is a occult detective with a Holmes like feel. The stories are based on the H.P. Lovecraft Cthulhu Mythos. I guess I am really going to have to read some Lovecraft one of these days as I think it would help me merge faster with the story. The stories are narrated by Titus Crow and various other characters from the novels. I was confused on a few stories because I thought the narrator was Crow but it turned out to be someone else. My favorites are: Lord of the Worms, De Marigny's Clock and The Black Recalled. As always listening to Simon Vance is a pleasure. What did you love best about The Compleat Crow? What does Simon Vance bring to the story that you wouldn’t experience if you just read the book? Would you consider the audio edition of The Compleat Crow to be better than the print version? As I do most of my "reading" via audiobook these days, of course. The narrator was quite suitable for Lumley's stories, and seats the listener firmly into the narrative. 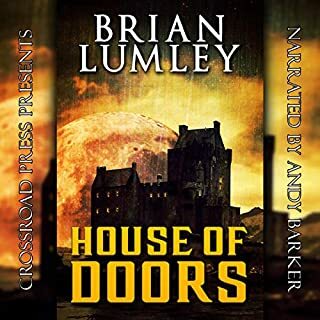 Brian Lumley carries on HP Lovecraft's Mthos quite well, although in a different dirrection than the Old Man of Providence, and this collection is a worthy addition to the universe, along with the rest of his Mythos books.. If you could rename The Compleat Crow, what would you call it? I feel the title works quite well as a collection as is. The later Crow books had wonderful Lovecraftian titles, but as this is a collection of short stories, it seems fitting. The Titus Crow stories are some of the most iconic tales set in the Cthulhu Mythos. They're also some of the most unlike H.P. Lovecraft since the protagonists routinely kick the asses of the supernatural forces they're facing. The Compleat Crow follows the adventure sof Titus Crow before the book series where he becomes a time and space travelling stand-in for the Doctor from Doctor Who. They're spooky and enjoyable with quite a few twists and turns as well as more atmosphere than the main series. This is probably the best of the works aside from The Burrowers Beneath which I recommend as well. Really well done, I highly recommend it. I'm just filling words now....oh more words needed. Was sad when it ended. wished for it to continue with the rest of the series and will be buying the rest. Which friend? 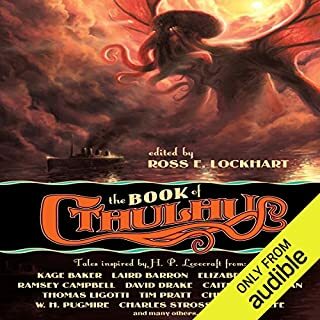 I recommend this if you enjoy occult fantasy and detective style short fiction – however, Lovecraft traditionalists should be aware that Lumley's take on the mythos is fundamentally different from most other work in the genre. Crow is a potent investigator who does not succumb to the sweet, obliterating surcease of drugs (though he does enjoy his alcohol), suicide, gibbering insanity or involuntary body swappage -- this guy can productively peruse the Necronomicon, formulate innovative spellcraft, and smugly explain his designs to buddies while sipping choice brandy. 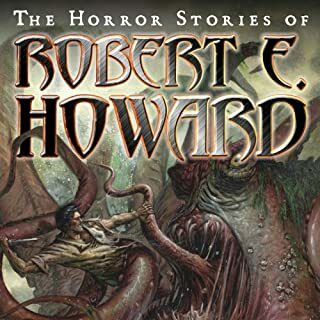 I found it good fun, but it's not really cosmic horror – these stories are far more lighthearted than the fiction in such modern mythos works as Book of Cthulhu I/II, Lovecraft's Monsters, or the work of Laird Barron, et al. If you could take any character from The Compleat Crow out to dinner, who would it be and why? in my humble opinion, this question is annoying – does anyone really care what fictional character I want to eat dinner with? okay, sorry for being snarky and sarcastic – I'd want to eat with The Lord of the Worms. why? Because he's very generous with his vast hoard of sorcerous, opium-laced wine. at one point, Lumley takes us into the mind of a villainous cultist – we are informed that the cultist understands that, on a basic level, "balance is always maintained" – meaning that although the cultist wants nothing more than to usher in the apocalyptic rise of ye old demonic pantheon, he recognizes that the Forces of Good might thwart him. Good and Evil are balanced, and with Titus leading the charge, perhaps things are even tilting ever so slightly toward Good. I think this underscores the difference between Lumley's work other mythos authors: good, lighthearted fun. How is this not a bestseller!? What made the experience of listening to The Compleat Crow the most enjoyable? The HP Lovecraft references. I've always enjoyed HPLs stories but was always bothered by the characters who could not mention the horrors they saw for one reason or another. This book is the exact opposite! Titus Crow fights the monsters HPL invented. Titus Crows resolve. He never gave up, and was always ready for anything. Easy. Titus Crow. The narrator did a great job in making this character come to life. I felt like I was along for the ride the whole time. This finished toward the end of the lord of the worms.... Nothing after that... Just empty space!! Yes. I'm not familiar with the authors work but I really liked Titus and the whole Supernatural Sherlock Holmes and Watson that permeates the stories around him. Very enjoyable. What other book might you compare The Compleat Crow to, and why? I'd have to say Sherlock Holmes. It's not looking at Crime, instead he's dealing with the Supernatural but we have an intelligent, quirky main character who has his Watson tagging along as well. I've listened to other books narrated by Simon. He's a great narrator and you can tell that he's got experience and he's got a great style as well as a good voice. That's not something I can answer with this collection. Some of the shorts appealed to me over others but that's not to criticise any of them as I really liked the book.